Esophageal gastroesophageal reflux disease (GERD) syndromes can be divided into two distinct categories: (a) symptomatic esophageal syndromes and (b) syndromes associated with esophageal tissue injury. Patients with GERD may display symptoms described as: (a) typical, (b) atypical, or (c) complicated. Patients presenting with uncomplicated, typical symptoms of reflux (heartburn and regurgitation) do not usually require invasive esophageal evaluation. 'O' The goals of treatment of GERD are to alleviate symptoms, decrease the frequency of recurrent disease, promote healing of mucosal injury, and prevent complications. Treatment for GERD involves one or more of the following modalities: (a) patient-specific lifestyle changes and patient-directed therapy; (b) pharmacologic intervention primarily with acid-suppressing agents; (c) antireflux surgery, or (d) endoscopic therapies. 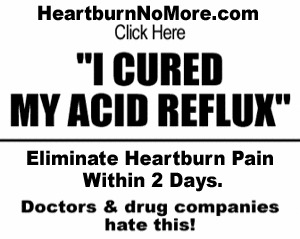 © Acid-suppressing therapy is the mainstay of GERD treatment and should be considered for anyone not responding to lifestyle changes and patient-directed therapy after 2 weeks. Antireflux surgery or endoscopic therapies offer an alternative treatment for refractory GERD or when pharmacologic management is undesirable. Many patients with GERD experience relapse if medication is withdrawn, and long-term maintenance treatment is required in such patients. Patient medication profiles should be reviewed for drugs that may aggravate GERD. 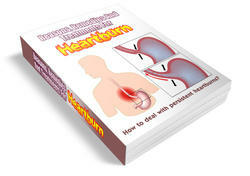 Find Out The Causes, Signs, Symptoms And All Possible Treatments For Heartburns!